A testamentary trust is usually created because a large amount of money is involved, so it is a good idea to have a Phoenixville estate attorney write up the document and make sure it is properly handled. Many family members tend to fight over money and other assets after a relative's death, so having a lawyer handle the paperwork may lessen the chance of litigation. 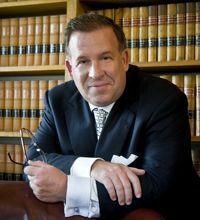 If you have minor children and would like to discuss the option of a testamentary trust, you may benefit from talking with an experienced Phoenixville estate attorney. Unruh Turner Burke & Frees has the experience to handle your trust or estate planning needs. Contact them today at (610) 933-8069.